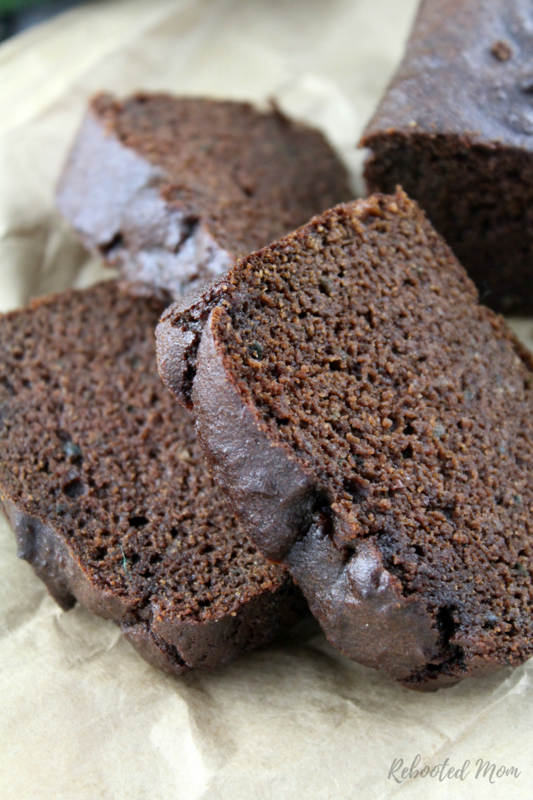 Everyone loves a really good zucchini bread – and when you combine zucchini in chocolate, then it’s an entirely amazing experience that nobody can turn down! This recipe is so stinkin’ easy – not to mention perfect for those weeks that you pick up your CSA share and have an abundance of zucchini. Or, perhaps you garden and have a bountiful harvest of zucchini waiting for a really amazing recipe. One of the best things about this recipe is that you can shred the zucchini in the food processor – lift out and set on a napkin quick, and then mix up the rest of the ingredients in the same food processor without even rinsing it out. Once the ingredients are well mixed, then pop the zucchini back in and blend one last time before putting in a mini bread loaf pan and baking for 30-35 minutes. I didn’t find it necessary to squeeze the water out of my zucchini – but I did let it sit on the napkin on the counter while I mixed up the other ingredients rather quickly in the same food processor before putting zucchini back in. We sweetened the bread with maple syrup, but you can use honey – we also added a teaspoon of vanilla extract just for a little extra flavor. It makes an excellent snack for the kids, in fact, I have made it into 26 mini muffins and our three year old managed to scarf down 6 while I was filling the second pan. She left the wrappers scattered all over the kitchen. I’m still not sure how she managed to eat that many when I wasn’t looking. Once the bread is done, allow to cool, remove from the pan and wrap generously in plastic wrap, then wrap and place in a zipper bag and refrigerate for up to a week. The bread warms up wonderfully in the microwave – and holds together so well when sliced. Moist and delicious paleo zucchini bread with simple ingredients and sweetened with maple syrup. With that same food processor, combine the eggs, maple syrup, coconut oil, vanilla extract, cacao powder, almond flour and baking soda and pulse briefly until well combined. 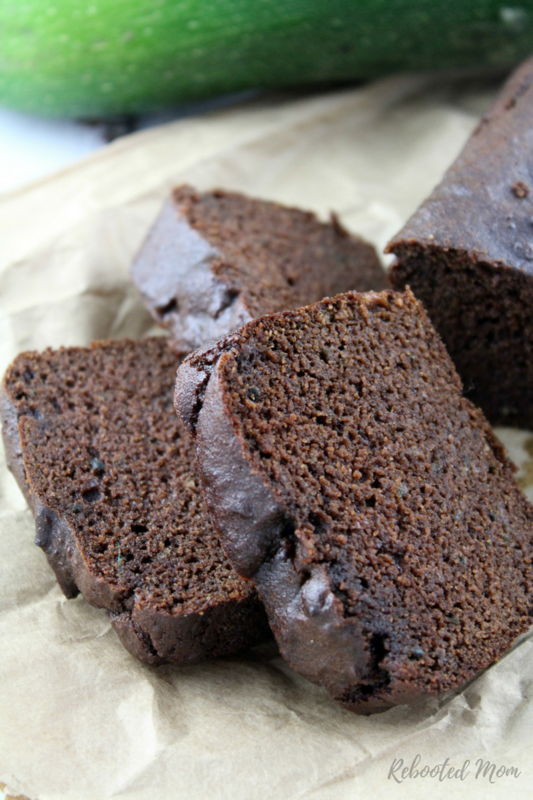 Share the post "Chocolate Zucchini Bread (Paleo, Grain Free)"